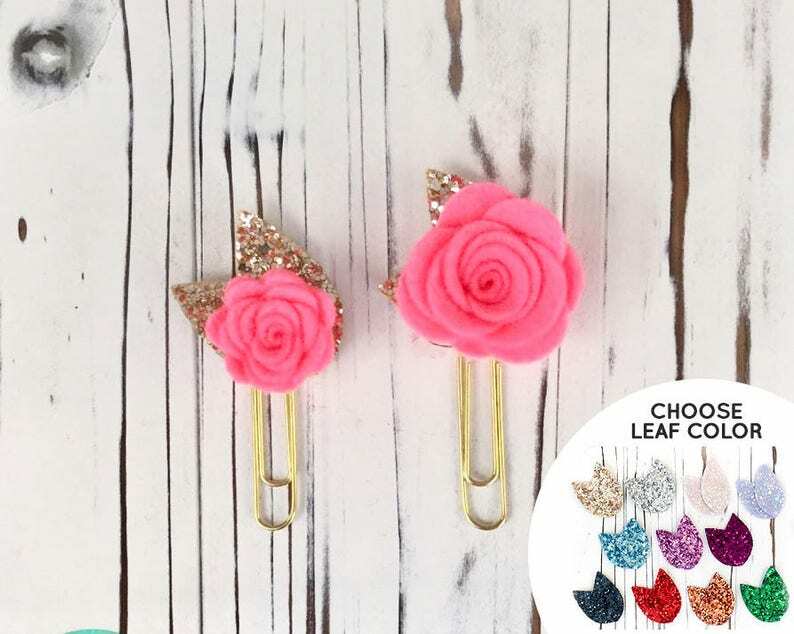 Flowers are handmade using high quality wool blend felt attached to chunky glitter leaves and then securely mounted on a gold paperclip. Small flower measures about 3/4" across. Large flower measures about 1 1/4" across. Accessories shown not included. These cute paper clips are great to use as bookmarks in your planner, bible, cookbook, textbook, or any book you are currently reading or want to refer back to at any time. They work great in Kikki K planners, Filofax personal planners, Erin Condren Life Planners, Happy Planners, Kate Spade Wellesley Planners on the inside pockets, and any other planner brand you can find. Love this planner clip! Beautiful and well made!